The Panama papers that recently shook the world now seem beans to spill about the Indian media: Five people from Bhopal and some from Indore have apparently been named in the leaked documents. At least three out of them are allegedly reputed media barons. 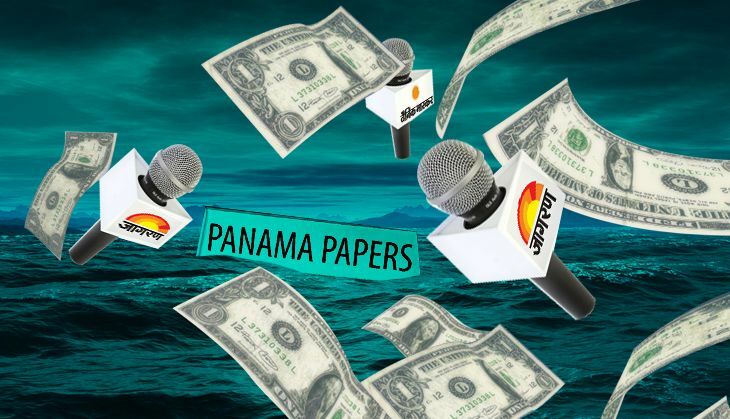 The documents published by the International Consortium of Investigative Journalists (ICIJ) on its website, gives details of people from across the world who have invested money in offshore tax havens. Read- Panama Papers revelation: do Indian laws have enough teeth to deal with it? There's Nitika Aggarwal who is the director of Bhaskar group, Sanjeev Mohan Gupta and Sapna Gupta are part of the board of directors of the Jagran group. She is among the directors of Bhaskar group's publishing company, DB Corp Ltd. According to the letter sent by the company to the Securities and Exchange Board of India in 2012, Aggarwal holds 1.90% shares in DB Corp. Her husband Pawan Aggarwal holds a 10.12% stake in the company while Nitika's father-in-law Ramesh Chand Aggarwal holds 17.46%. Additionally, Pawan Aggarwal's elder brothers Sudhir and Girish Aggarwal are company directors. The address mentioned in the Panama papers (E-1/79) belongs to Arera colony. It is not only Nitika Aggarwal's residence, the voter ID cards of Pawan and Ramesh also have the same address. According to the papers, Nitika Aggarwal is a shareholder and director of an offshore company called Brick Joint Pvt Ltd. The official address of this company is Nitika's residence. Patrika's team was not allowed to enter the bungalow by the guard standing outside. The husband-wife duo is among the directors of the Jagran group. Sanjeev Mohan Gupta claims to be the co-owner of the Dainik Jagran brand on social media. On paper, he is the director of the company governing the Jagran Group among several others. The Panama papers mention his address as (B-22/74, South TT Nagar) the official address of an offshore company called Bonus Business Holdings Private Ltd. Sapna Gupta is shown as the director and shareholder of this company. While Sanjeev Mohan Gupta is among the directors. Currently, BJP's state leader Madan Mohan Gupta is residing in this government bungalow. He has denied the residence has anything to do with the Gupta couple. He says the bungalow has been allotted in his name and it was not registered as any company's address. Poonam Sethi's name finds a place as the director and shareholder of a company called Agrim Industries Private Limited. The official address of this company is given as 210-B, Sector-Indrapuri. When the Patrika team went to this location, we found a board on the gate bearing the name of a Om Prakash Khandelwal. Nobody came outside the house to meet us, despite repeated attempts. Anuroop Kumar Shrivastava is allegedly the director and shareholder of an offshore company called Palio Chemicals Ltd. The official address of this company is E-3/73, Arera Colony, Bhopal. However, a signboard of a clinic hangs at the entrance of this residence. The Patrika team tried to contact him via the phone number given on the signboard. The call was cut from the other side as soon as Anuroop's name was mentioned. They never picked up our calls again. A company called Asia Min has been registered under the address 22, AB Road, Old Palasia, Indore. The residence belongs to Rajni Baheti, who is also allegedly among the beneficiaries of the company. However, Rajni claims she has no knowledge of the affair. In addition, five other people have also been named in association with this company. A person called Hemant Ameen allegedly acted as the mediator. Two addresses from Iceland and Singapore have also been shown in the records of this company. Apart from Asia Min, a company called Dragon Ocean Investment Ltd is registered under the address 50, Swami Vivekananda Nagar. It is allegedly owned by a person called Jayant Sharma. Sharma is currently working in China. His family resides in the Vaibhav Nagar locality of Indore. Jayant, who is in India for few days on work, stated that Dragon Ocean Investment Limited was originally registered in Hong Kong. It was closed down six years ago. He also denied any money was stacked abroad in the name of the company. A company called Sachvinam Global Limited is also registered under FH-135, Scheme 54, Vijay Nagar, Indore. A man called Rakesh Kumar Sethi is allegedly among five shareholders of this company. It is said to operate from the British Virgin Islands. A company called Interglobe Corporate Solutions Limited acted as a mediator for this company in some foreign countries. The principal director of the state IT Investigation wing has promised a prompt inquiry into all the names mentioned in the Panama Papers.